Now that you’re handling the pointed pen comfortably, join us as we tackle more technical aspects of your calligraphy practice. This course consists of 4 sessions, each 2.5 hours long, with the first session commencing 9 April 2019. 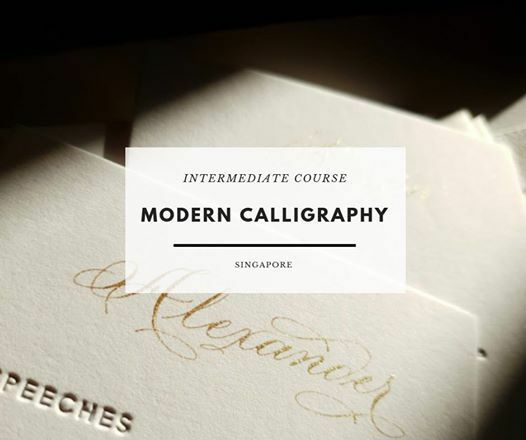 Tailored to individuals who already have a good grasp of pen handling techniques, this course is perfect for those who wish to dive deeper into Modern Calligraphy. Over the 4 sessions, you’ll learn new practice habits, how to refine your ligatures, flourishing and layout. The course fee treats you to 4 classes, light refreshments, and additional material for your calligraphy practice.